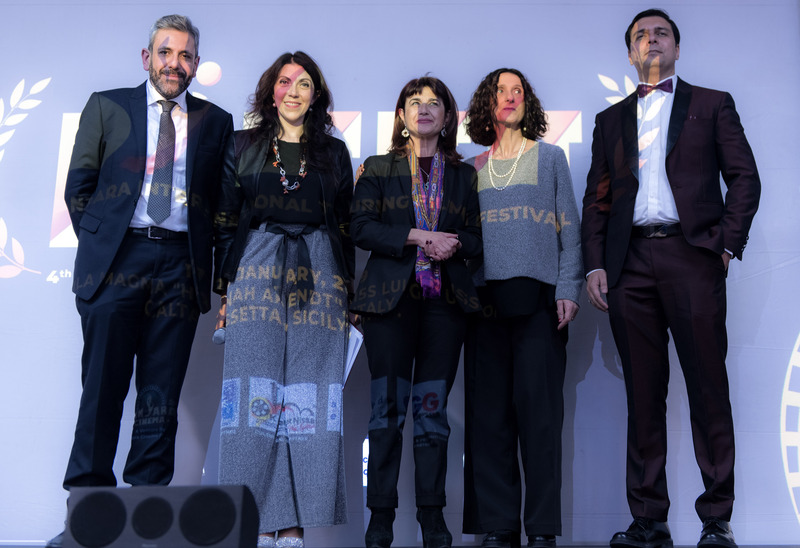 An interesting meeting of two Italian and Indian cultures that were conveyed by short films from 80 nations of the world. 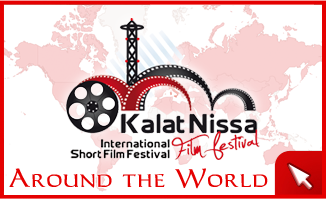 The 04 Banjara Film Festival is an international cinema contest that this year, at the behest of its president, Captain Sachin Khanna becomes itinerant choosing to start his tour from Italy to Caltanissetta, because here is an esteemed partner with whom shares the aims: the Kalat Nissa Film Festival, chaired by Arch. Fernando Barbieri. 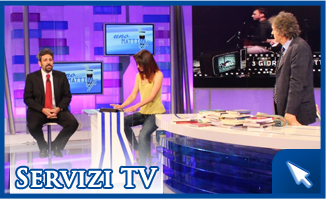 -The Prefect Dott.ssa Cosima Di Stani, the Quaestor Dr. Giovanni Signer, the Mayor of Caltanissetta Dott. Giovanni Ruvolo, the Councilor for Innovation and Creativity Arch. Pasquale Tornatore, the Director of the Regional School Office of Caltanissetta Dott Luca Girardi, The Responsible for the autonomy of the USR of Caltanissetta Prof. Salvatore Benfante Picogna, the Lieutenant Colonel Antonio Ristuccia of the Provincial Command Carabinieri Caltanissetta. The Chamber of Commerce of Caltanissetta was also the patron of the event. 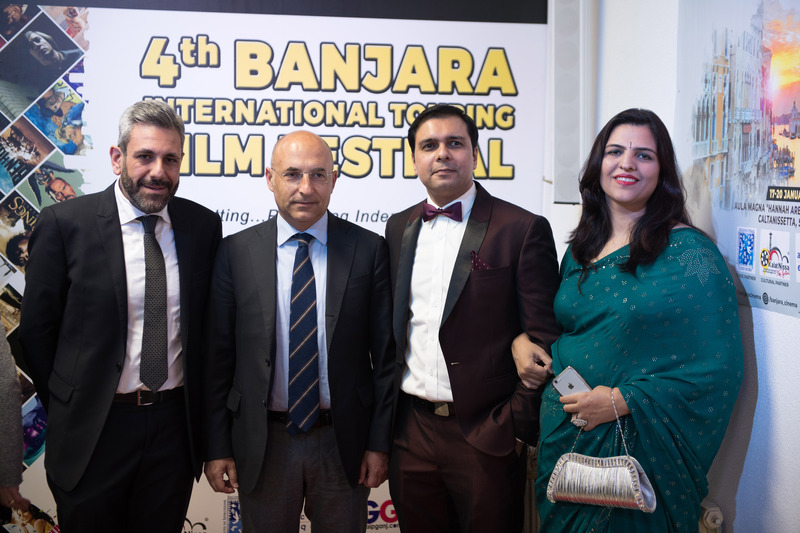 The Indian delegation of the Banjara Film Festival consisted of Shivani Kanna, Siddart Kanna, Sonika Kanna and Annet van der Hoek. The event opened with the two Indian and Italian anthems at the end of which the Indian Candle ceremony took place on the notes of an original soundtrack. - a Masterclass organized by Arch. Giovanni Bartolozzi entitled "Indian memories"
- and a reading of the poems by Rabindranath Tagore from the Gitanjali series by Adriana Lachina and Valeria Dell'Utri. 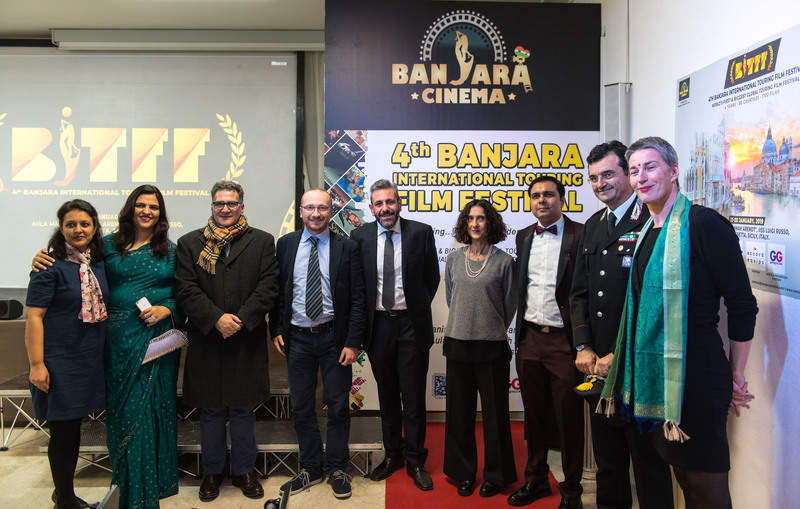 The whole project of the 4 Banjara film festival, which since its debut has obtained a great educational impact on all students of the four courses of study of the IISS L.Russo was edited by proff. Laura Abbaleo, Francesca Bennardo, Michele Calà, Adriana Lachina and Luigi Lipani, responsible for security. From Thursday 17 January until Sunday 20 January, unforgettable projections of international shorts will take place from morning to evening until 8.00 pm. Four unforgettable days of SHORT FILMS. And Sunday, January 20, a final gala evening dedicated to the awards.